About six weeks ago, I picked up 00s.biz in the aftermarket. At first, it got very little traffic, but it has slowly been building traffic, even though it's just parked. Since the beginning of the year, it has had nearly 100 hits--not bad for a .biz with a funky name that isn't a real word. If I knew why, I would develop a site, but I can't seem to get a grip on the market; what are these surfers looking for when they click on this domain? I would recommend parking the domain name on your own nameservers to get more information on the origin of the traffic. If you redirect to a parking page you can get the referrer (if any), and other useful info. There was a rash of defective keyboards shipped out at Christmas time due to the seasonal rush. I know this because there's always a rash of defective merchandise at Christmas. Meanwhile M&M/Mars ran a TV and print media blitz for their personalized M&M candies. I know this because I saw the commercials and read Reader's Digest. Now when someone types mms.com to order online they get 00s.co0 instead because of their new flakey keyboard. Since that site didn't resolve they then try adding dot biz and they wind up at your parked page. Since there's music ads there they bookmark the page for later viewing then return when they finish googling for M&Ms and finally order their candies. Since there's Al Green music listed there they forward the URL via email to all their friends. I know this because I happen to like Al Green's music. And I get email. And now you know the cause of all this traffic! And since you may have worried that dot biz isn't a well known TLD, rest assured, several 100 people with bad keyboards consider the dot biz TLD the next dot com. Your only worry is if there's a recall on the keyboards, your potential audience finally figures it out, or M&M/Mars sends you a Cease and Desist for diverting their traffic because some people get caught up in the music and forget to order their candies. You can avoid the last by putting up your own parked page and putting a scroll at the top that says if you're looking for personalized M&Ms click here. And you'll have the referer info, too. 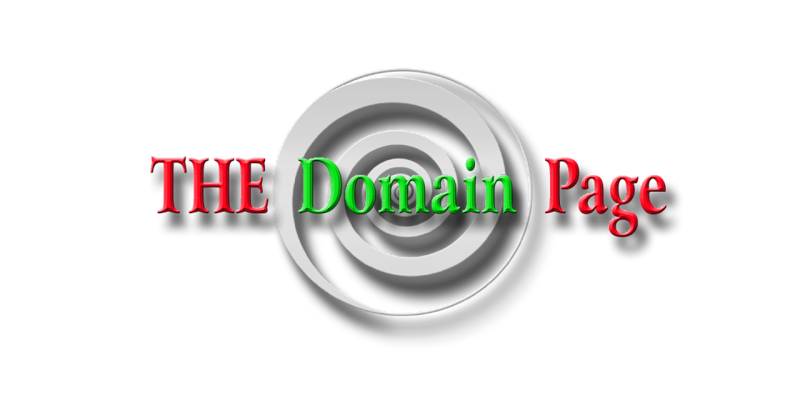 It is a simple result of the name being on list of Expired domains starting with 0. Do a Google search of 00s.biz and you will see the name is included in a number of lists. Many buyers like yourself are looking at these names and some are checking them out and clicking on them. I would be interested if in 2008 the totel increases or decreases. I also own 00s.us, which gets no traffic at all. Anonymous, I did see the .biz version on several expired lists. It's been bounced around a bit, so maybe people are just curious. It's getting about 20 hits a day right now.